Many universities face challenges supporting postdoctoral scholars across disciplines and schools, and Vanderbilt University (VU) is no exception. In May 2015, the Graduate Education Study Group, appointed by VU’s Provost and Vice Chancellor for Academic Affairs, recommended that postdoctoral scholars be brought under one umbrella and under the leadership of the Graduate School at VU, including the establishment of a single, centralized office. In the fall of 2016, VU created a new Office for Postdoctoral Affairs (OPA) to better serve the Vanderbilt postdoctoral community. This model provides an opportunity to demonstrate the broader institutional commitment to postdocs. It represents “a way of promoting a stronger, more cohesive sense of academic and intellectual communities among postdocs at Vanderbilt,” according to Mark Wallace, dean of the Graduate School. Administratively located within the VU Graduate School, the OPA supports Vanderbilt-affiliated postdoctoral fellows and trainees, as well as faculty and staff administrators who work with the postdoctoral population. As a result of this transition, financial and administrative support for theVanderbilt Postdoctoral Association (VPA) shifted from the Biomedical Research Education and Training (BRET) Office in the VU Medical Center to the VU Graduate School, beginning with the 2016-17 academic year. While the BRET Office continues to be a resource and supporter of the VPA (including funding a travel award given to a postdoc each year), the ability to collaborate with a broader and more diversified postdoc community is now possible through one centralized office. The VPA has been able to expand its outreach to postdoctoral scholars across all seven of Vanderbilt’s schools (ranging from the College of Arts and Science to the Schools of Engineering and Medicine). Traditionally, the VPA had served predominantly biomedical postdocs in VU Medical Center. While this is still the largest population of postdocs at Vanderbilt, the ability for the VPA to work with the OPA was essential to the growth of the organization. It broadens our mission to facilitate a sense of community, provide professional and career development opportunities, and advocate for postdocs across all of Vanderbilt. Our ability to more effectively communicate with and engage all postdocs has been greatly facilitated by an improved, centralized appointment system for Vanderbilt postdocs managed by the OPA. “The new appointment process has also enabled Vanderbilt to unify the guidelines for postdoctoral appointments and collect important information about the postdoc community to facilitate the development of effective programs and services for the whole postdoc community,” said Clare McCabe, PhD, associate dean of the Graduate School and director of the Office of Postdoctoral Affairs. This centralization has allowed for the creation of a database of postdocs at Vanderbilt, which is regularly updated and enable the OPA and VPA to reach more than 550 postdocs via an email listserv. The VPA and OPA send monthly updates on events, resources, and opportunities to Vanderbilt postdocs via this listserv. Attendance at VPA events has increased significantly each year. A particularly notable success story has been the creation of monthly VPA Happy Hours, supported by OPA and held near the Vanderbilt campus. The happy hours routinely draw 40-50 or more postdocs each month from across 10-20 academic departments and divisions. The OPA has also provided administrative support to assist the VPA in organizing programs and events. These include annual National Postdoc Appreciation Week activities, which drew more than 100 postdoc attendees across three events this year, and the VPA Symposium. The symposium is held annually and offers a venue for postdocs to present their research, network with other postdocs and faculty, learn about career options, and hear from invited speakers about the valuable skills postdocs can offer employers. In 2017, the 11th VPA Symposium—the first co-sponsored and supported by the OPA—was well-attended, with more than 160 registrants. With generous support and assistance from the OPA, 2017 was the first time the symposium included boxed lunches for all attendees and offered a social/networking hour with refreshments during the late afternoon poster session. In addition, an awards ceremony was held recognizing outstanding postdocs and mentors. Feedback on the event was very positive, and the VPA and OPA are teaming up to make the 2018 VPA Symposium even better, including moving to a larger venue on campus. Moving to this new space would not have been possible without the OPA’s support. Working as a team, the OPA and VPA are continually improving their offerings to Vanderbilt postdocs. 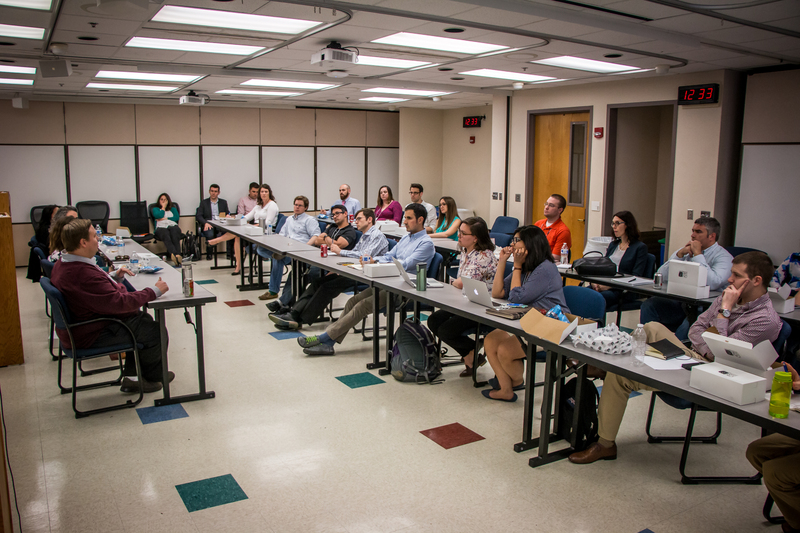 A big part of the VPA’s and OPA’s ongoing mission is to make all postdocs at Vanderbilt feel welcome and supported. It has proved challenging for the VPA to engage non-biomedical and non-STEM (science, technology, engineering, and math) postdocs but we are making efforts to improve inclusivity. Enhanced central communication, efforts to expand and diversify the leadership of the VPA (including committees focused on outreach, communication, and diversity), and the development of a VPA website in 2016, have helped make our organization more visible to postdocs on campus. In fact, we have had postdocs from eight traditionally non-biomedical departments (including psychology, earth and environmental science, management, sociology, physics/astronomy, and teaching/learning) attend VPA events in 2017. To broaden our outreach and visibility, the VPA is appointing postdoc departmental liaisons who will reach out to new postdocs in their departments to inform them of the VPA, OPA, and other resources and support available to them. Our hope is that connecting new postdocs to a support community early on will ease their transition at Vanderbilt, as well as grow the number of postdocs actively engaged in VPA activities. With help and support from the OPA, we see a bright future ahead for the expanded VPA.